In the hands of Team Dragon Racing. Use TBJNKE to reference this item. Mouses increase themselves quickly. 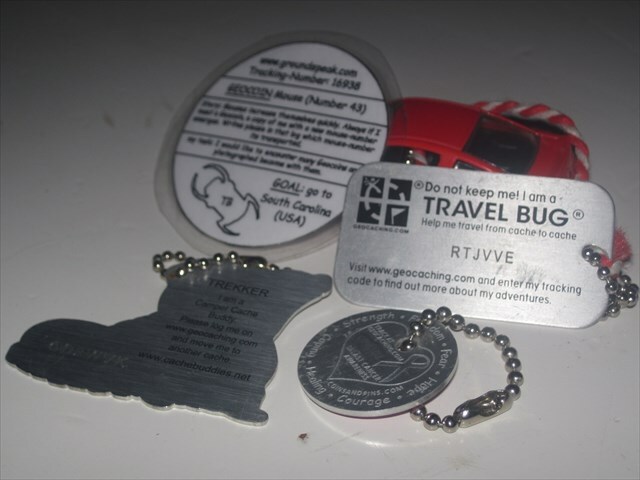 Always if I meet a Geocoin, a copy of me with a new mouse-number emerges. Writes please in that log which mouse-number its transported. Mäuse vermehren sich schnell. Immer wenn ich einen anderen Ceocoin treffe entsteht eine neue Kopie, mit einer neuen Nummer, von mir. Da alle Mäuse auf der selben Tracking-Nummer reisen schreibt bitte ins Log welche Maus ihr transportiert habt. I would like to meet Geocoins an take a picture from him with me. Ich möchte möglichst viele Geocoins kennenlernen. Bitte macht ein Foto mit mir und anderen Geocoins. have tb #43 out of ? 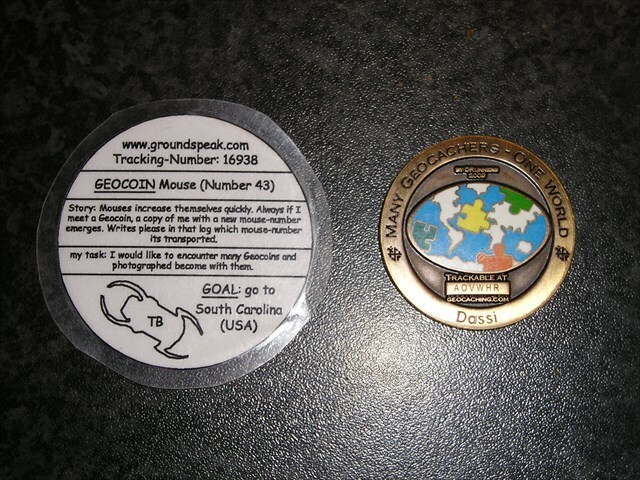 We found Geocoin Mouse (number 43) Many Mouses (Mausplage). It's goal is South Carolina, next month it will fly from Curacao to USA and from there it has to reach it's goal: South Carolina. It's meets geocoin Dassi so I will emerge again. nr 43 Gevonden, was gelukkig niet zo moeilijk. Heute durch Zufall beim Durchstöbern von Profilen entdeckt.